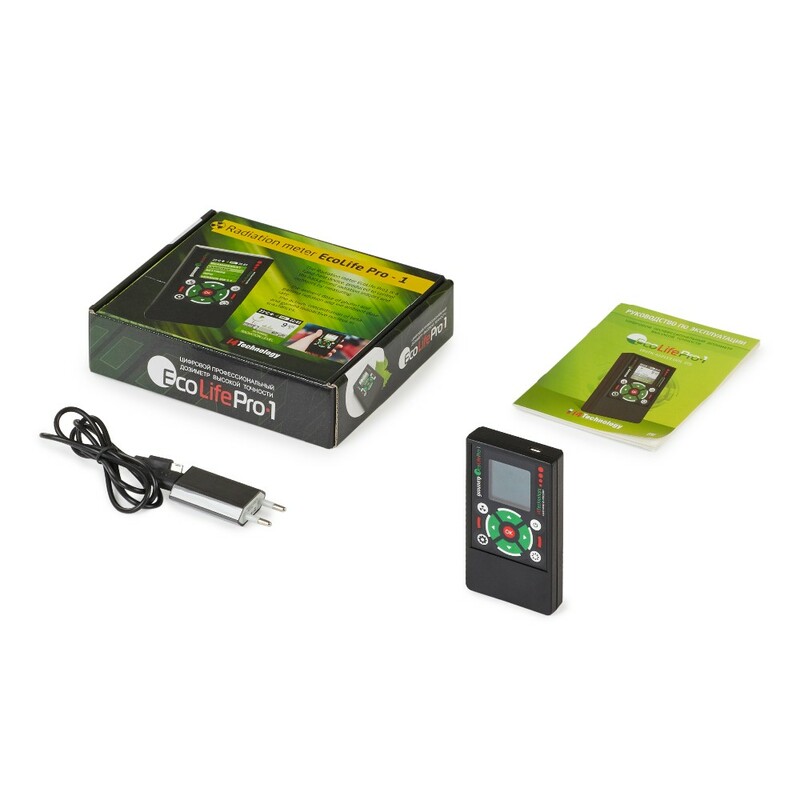 High Precision Professional Device for Your Everyday Use! 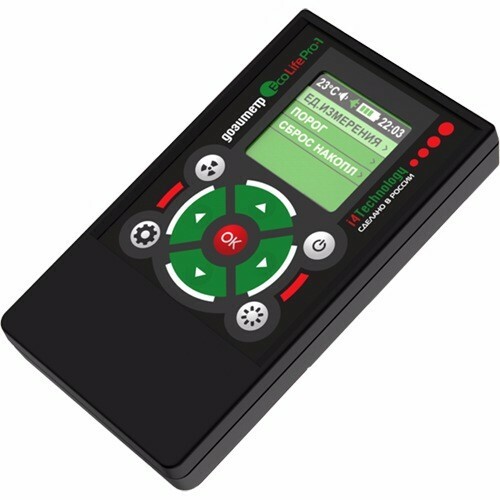 Double check technology allows to minimize mistakes in radiation measurement which makes EcoLife Pro1 a professional dosimeter. 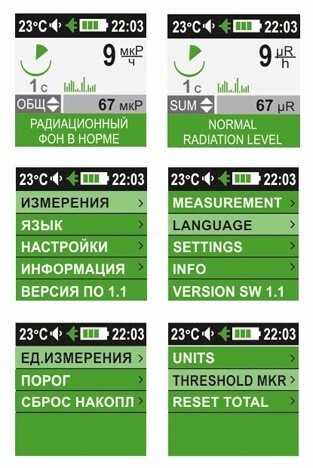 One of the best in ergonomics with full navigation and interface in two languages: Russian and English. Displays changing radiation situation in real time as diagrams on a clear OLED display. Get initial test results in 10 sec, and built-up dose results over a period of several years. Audiovisual warning of the ambient dose rate threshold excess. 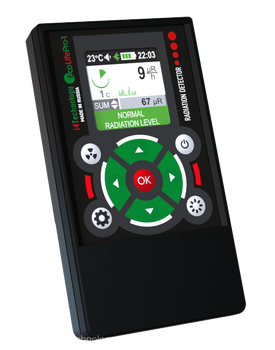 One more important feature of EcoLife Pro1 dosimeter is that it shows built-up dose results over a period of several years. It is well known that human body accumulates the radiation dose. That is why it's necessary to summarize continuous readings taken from an individual detector while staying at the locations with elevated levels of radiation for a long time. EcoLife Pro1 automatically summarizes the accumulated dose from the moment of switching on and for all periods of operation. 3 millisieverts per hour is the normal annual background radiation dose which is considered safe. Throughout life the accumulated dose value must be below 100-700 millisieverts summarized (according to the local radiation background).